The conference will take place in the new buildings of the Civil Engineering Department of DUTh, 2km outside of the city of Xanthi. There is a very dense bus service available that connects the campus and the city. Useful information on how to reach the confernece venue, from the city of Xanthi is now available . The file contains details about the taxi and bus services available in the city of Xanthi and how you can use them to reach the confernece venue. Several hotels are available for you to choose from in the city of Xanthi. Those located close to the bus stops of the service that link the city and the Department of Civil Engineering are shown in the map above. You can find more alternative options for your stay if you do a search to online services like booking.com, tripadvisor.com etc. The following hotels offer friendly prices to the delegates of the ISCRAM-med 2017 conference. You just need to send an email stating that you are a delegate of the ISCRAM-med 2017 conference and they will reply their offer. The city of Xanthi is close to Alexandroupoli and Kavala airports. Both airports are connected daily to Athens and other Greek and European cities. From there you can rent a car, take a bus or a taxi service to reach the city of Xanthi. A bit further, compared to the previous airports, is the airport of Thessaloniki. If you reach Thessaloniki you can take one of the many available bus services to the city of Xanthi. More detailed information with prices will be shortly available. 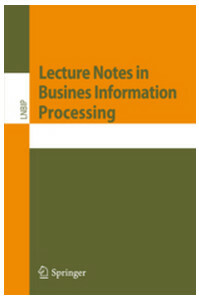 As with the previous ISCRAM-med conferences, accepted papers will be published in the Springer series “Lecture Notes in Business Information Processing” (LNBIP).. Publication in the proceedings is subject to the registration of at least one author of the paper.